"Genesys PureEngage - Top notch customer experience." Genesys provided various integration and customization methods, depending upon the requirement. All the components have it's own complexity and intelligence. Like Genesys WFM is the best product in the market for scheduling, reporting and forecasting of contact centre. Routing capabilities provide abundant types of routing strategies. Customers can have self service analytics by using Speechstorm reports. Like that Genesys provides suit of different components performing different functions for best customer experience. CME was really easy and simplified tool. Also very user friendly. Genesys should continue working on it. And most important certification cost, it is pretty expensive. Genesys should work on this as well for much better customer experience. It is good product if implemented properly. One need to understand the complexity as well with it's capabilities. This involves:- Speechstorm IVR personalization, Routing flexibility for 24*7 opertaions and Efficient WFM solution for better scheduling, reporting and forecasting of contact centre agents. The best thing about Genesys is that everything from handling interactions to managing the workforce is fully integrated and performing as required. From a technical perspective the management and monitoring can be done in a very detailed and fluent way through detailed logs the Genesys platform provides for every component. Patch and Release Management is done by performing the same steps for nearly every component. If you have done 1 installation of a Genesys component, you can do all component installations. Documentation is well done and contains lots of details for Windows as well as Linux. We are also looking forward to AI, predictive routing and bot gateways. There are a few tools to manage the platform with different flows in the UI. This should be reduced to 1. Copying, pasting and imports & exports should work in a uniform way without lots of clicking. Perfomance / real time dashboards should get a overhaul so client tools as CC Pulse (+) can get obsolete and be done fully through webbased dashboards. With Genesys it's possible to plan and handle the huge amount of interactions we have with our customers on daily basis with top level performance. Genesys provides SDKs to stretch the limits of what's possible. I've not seen any other software that can match these kind of functionality and flexibility. "All in one solution for your call center needs"
My job is program and develop for our in house Genesys applications. Our company is fortunate to use many various products that Genesys has. We have inbound voice, outbound, chat, email, iWD, and WFM. Along with those we have the full reporting suites as well for real time and historical reporting. One of the things I love most about Genesys is how their products interact with each other so well. It is very easy to associate a chat with a voice customer. Or to associate a Workitem with someone who has emailed us before. This kind of central integration leads to a better picture of how the customer interacts with our business. I also really enjoy the variation in products they provide. Like I started in the Title of the review, they really are an all in one solution. They have the traditional voice routing, but now they have much more complex ways to route work to employees. For example, iWD can be used to route back office work. This takes reporting metrics to a whole new level. More about this in the business problems we solved with Genesys. I also appreciate their support. My role is to do actual development. I run in to issues periodically and need to open a support ticket. Their support is top notch. They are usually able to resolve my issue in a day or so and that is greatly appreciated. One of the most difficult parts to Genesys is learning how to program for their systems. They have Genesys University which offers a huge suite of training classes. These are super helpful in getting started with any of their products. The real challenge comes in once you want to dive in deeper. The customization offered by their products is astonishing. If you can dream it, you can build it. But getting to that point takes a very long time. If there was some way to have training classes more focused towards your specific business, that would be a tremendous step in creating more experts. Have dedicated employees for development. They will learn the product much quicker. Genesys has a product called iWD. This is used to route back office work to agents. Our company had a specific problem where they were not able to get reporting statistics on what their agents are doing. Traditionally, we started with a pull method. A bunch of forms gets loaded in to a central location. Agents go in there and start working of the forms. At the end of the day, they know agent 1 completed 20 forms and agent 2 completed 15 forms, etc. What this can't tell them is how long did this form take to complete, what is the average handle time for this form, etc. We implemented iWD to solve this issue. What this allowed us to do was to stop agents from cherry picking forms and to give proper reporting statistics. This made a worlds of difference. The call center is now able to get real time and historical reporting all the way down to the individual form that was submitted. Having access to this leads to much greater efficiencies. Along with the reporting, you are able to build rules associated with each form. It is extremely easy now to prioritize various forms over other so that you can meet deadlines and such. This has lead to an astonishing increase in the amount of work they are able to complete and has completely transformed the call center. "Genesys Pure Engage - Best Product for CC"
1. Routing Capabilities. - Complex Routing Techniques like Intersite routing, Last Agent Routing etc. 2. SpeechStorm IVR call flows and Customer Journey. - Self Service analytics by using Speechstorm reports. 3. Integration with Third Party services (APIs, TIBCO etc). - SDKs for Stat Server and integration with other products like Verint. 4. WFM Solution - Most efficient tool for scheduling, Forecasting and reporting of contact centre. No extra third party components needed for integration. 5. VHT callback is another feature which is offered with Genesys integration. This helps the organisations to cater the customer with auto-call back feature during the high peak call volume intervals. VHT also offers reporting module which gives insight for results of the call backs done by the software. 1. Discontinuation of old school tools like CME, SCI,OCM etc. Genesys should continue the research on the old school products which were more comfortable and user friendly to work. Please understand the full capability of the Genesys Engage products and buy licenses wisely. There might be capabilities which may go unnoticed while only fulfilling the requirements. 1. Speechstorm customer journey module helped to analyse the customer experience on IVR. Based on results, actions were take to delight the customer with more self options to answer the queries, personalise IVR options based on selections done in past. 2. Last Agent routing enabled faster resolution of queries as customer don't have to explain the problem again which in turn decreased the AHT. "Switching to Genesys Pure Engage takes customer experience to the next level." I have used Genesys Voice Platform 8.5 , Genesys Administrator and Genesys Composer 8.x. Most liked component is Genesys Composer, which we used as a consolidated development environment for self-service tools on the Genesys Voice Platform. Also, I passed the "Genesys Certified Composer Voice Applications 8 Developer"
Really, I think that the setup was so complex and sometimes the deployment documents were not clear enough to guide us through the installation process. Jawwal, and Genesys Pure Engage gives us the means to do that. Previously, we were having limited and hard ability to integrate with legacy and back-end systems. Also, the building and development of IVR applications was very complex and needs much efforts. So, when we switched to Genesys Voice Platform allowed us to take control of services in-house. Now, me and other developers are using Genesys Composer to rapidly create self-service tools. 1) Voice applications are deployed 50% faster. 2) Saving money and freeing up resources to focus on other tasks. 3) More customers are using self-serve than ever before. 4) 80% Improvement of internal staff satisfaction. 5) 40% increase in customer self-service levels. 7) 70% reduction in technical faults. "Pure Engage - Honest Review"
This platform offers various integration methods and can be customized according to the requirement. This is Omni-channel solution, you can cover all the interactions channels Like Voice, Email & Chat. This can be also integrated for Social Media to interact with customers. Solution is extremely capable of handling any type failure due to better redundancy methods if they are configured it in the right manner. Intelligent Call Routing and features list in this setup is best in the industry at this time. Due to Intelligent Routing and availability of the environment, solution enhances customer experience. It is actually not dislikes, its more of suggestions based on the experience of using this platform. This solution also has WDE deployment which is an interface of agent to handle interactions. This needs more focus as it is not much stable at this moment or it may be deployment issues in our environment. Network connects within components needs more logging as many times it gets difficult to find root cause between network or Application. Need Better Troubleshooting tools to effectively find the cause of the issue and fix it minimum time as this solution involves multiple components and eliminating one by one can cause delays to decrease the availability of the environment. Robust solution if it is configured and Implemented properly. 3. Flexible routing to provide 24*7 availability. 4. SpeechStorm for better reports on IVR usage. "The Whole Spectrum of Applications and Support"
We are migrating from one version of GIM onto another and the open cases in this area have resolved many issues that business had encountered. We are also solving issues with WFM and VHT. "One of the best workforce Management product"
The simplicity of Managing the schedules, adding the new Agents and even updating the existing ones is easy and the product provides a good experience to the user as well as the ADMIN. The api to interact with the product to fetch data works like a charm. I started working as WFM API developer last year and have been looking into the admin parts as well and have received great support from Genesys support team as well whenever required. Few very good features include Real-time reporting and Historical reporting which provides a comprehensive analysis of all interaction data. Also, and Call recording for quality and analysis. Please release more extensive SDK and sample codes so that the interaction with the product with the API is easy. It's a good product for anyone who is looking for a one-stop shop for Managing the Workforce. Managing the Schedules, agents connection, Fetching the live data of the agents and Workforce Management. Improve productivity, reduce handling times, avoid transfers and repeat information. Improve Customer Experience – First Call Resolution, personalization, and consistency. Improve reactivity – with access to real-time monitoring and analytics. The solution is very robust and its openness to integrate with other systems, the UX experience is excellent. The availability to use different channels on one standard platform is great and that you can service all of them from the Workspace Desktop is even greater. The outbound module is easy to use but at the same time ver feature savvy, the new treatments with SCXML are very powerful. The eServices modules are also very complete, and the use of the same standard responses are very welcome, because the help a lot to standardize the customer experience. Provide more examples of integration with the WDE, also in the Developer training there is only one chapter to customize WDE. Very Robust platform, very open to integrate with legacy systems, lots of features and it's always evolving with the new technologies or communication platforms in the industry. Genesys is always focused on delivering the best tools to help you provide the best possible customer experience. The main problems we solve using Genesys is to standardize the customer service and telemarketing sales and have all customer contacts centralized in only one platform, this gave us efficiency to deliver better customer service and also have better cross and up sells based on the customer history. The reporting also help us to have a better understanding of our current operation giving us the opportunity to made faster decisions to reach our SLAs. Roadmap needs to more clear for Pure Engage with all the emphasis now placed on PureCloud and still on PureConnect. In the decision to select Genesys PureEngage, the financial stability, reputation for innovation, the market leadership and the partnership with wellknown interconnectors were all important factors in the decision. Genesys PureEngage is a very flexible, highly scalable, robust and complete product. The completeness of PureEngage lets orchestration of all channels for a single purpose, excellent Customer Experience. Thanks to the strictly integrated PureEngage components, your company will have strong tools to support your processes, which are not limited to, marketing, decision making, resource management, Customer Experience. To me, the Interaction Routing is the most exciting solution of PureEngage. It connects your customers to the most appropriate agent. It allows you to realize any routing scenario which your business requires, while orchestrating the interaction through its lifetime, until it is resolved. The High Availability and Business Continuty solutions supports any DRC scenario that your company prefers while providing very high uptime. The Genesys PureEngage SDKs and APIs are very powerful. Your developers can make integrations to your company resources, or can develop your own solutions on top of PureEngage platform. Genesys keeps PureEngage up to date with solutions for trending and upcoming technology. This empowers your competition skills and prepares you to the future. The flexibility and scalability brings complexity. Even this is perfect for designing systems to meet any business need, it requires highly skilled technical people and highly skilled business people for deployment. After deployment, administrating PureEngage is not a one man show. For the best results it is better to have a, at least two person, team. Some user interfaces provided by Genesys may have been designed with technical point of view, which brings non intuitive usage, lack of projecting some valuable operational information. However, Genesys SDKs and APIs let you develop your own user interfaces. Genesys PureEngage brings you all the tools you require. Genesys PureEngage is like a spider web. By the time passes, it will touch your companies applications. Means, you'll realize benefits of integrating it to your applications (Including but not limited to HR systems, CRM systems, BPM systems). For the great success, give the planning phase enough time. Thus, you'll clarify all the details of your business needs, infrastructure requirements, integration requirements, transition plan etc. Involve all relevant parties (DBAs, Business Analysts, Collabration Systems Administrators, Network Administrators, Domain Administrators, Data Security Cosultants etc. and of course your internal customer, Contact Center colleagues from each level) to the project. This will significantly decrease implemantion time and give you successfull implemantation phase which fits your ROI expectations. Genesys PureEngage is not a cheap solution, but a successful implementation heavily supports your bussiness to develop in the direction you desire. Like, you may increase your revenue, increase number of customers , provide better service, increase FCR, find new ways to do business. - Indepth reporting based on interaction data. "Great Tool for Contact Center Environment"
The best this is the customization which is available in Genesys as we can integrate Genesys with any ACD solutions available in the Market and this works best with them and gives us more capabilities to enhance customer experience. The Traning & Certifications are expensive and the certification duration is very less. From my point of view ta certification should be valid up to 5 years from the date of issue. The best part is that we integrated our old telephony system with Genesys and this gives us more reliable telephony environment. So at any point one system is down then the other is their to run our center but with certian limits. Once you know the framework, most things become intuitive. I recommend taking a progression of courses in Genesys University, because Customer Care Support can be somewhat unfamiliar to your organization's configuration, and Professional Services can get quite pricey. Conversation Manager saves so much of an Agent's time. Reporting falls short, in the Interactive Insights. In creating your data Universe, you will need to enhance metrics with user-created formulas, based upon how your organization measures success. Look at the resulting reports from all modules, before you look at the prices. We are replacing outdated, expensive communication products with Genesys products that can close the gap sufficiently. Each year, we realize more and more business value with our engagement with Genesys. "Genesys PureEngage is a complete robust solution for Enterprise Contact Centers"
It is constantly evolving and getting better and easier to setup and control. The configuration options are very flexible and powerful for a any type of business. The documentation can sometimes be a bit lacking and the Knowledge Based search seems to find old documents and not the latest. I would recommend having enough servers to ensure there is a good HA failover for all of the applications. Call routing based on a scale of skills routes to the most qualified agent. It's fairly easy to add and subtract the VQs based on changing needs, and usually without having to change the routing strategies. "Pure Engage, best of the breed solutions for large Contact Center"
Wide possibilities with the solution since personnalization of solution is wide open. Somehow complexity. You need high skilled developpers to maintain this type of solution if you personnalized too much. Depending of the size of the company and numbers of contacts center agents, analyz well the needs to see your on premise needs or cloud needs. Make sure to get high skilled internal support. Enabling Contact center blended inbound & outbound with Eservices (Email & chat) allow us to answer our client in an omninchannel mode. The solution is easy to use and very effective. It is very easy to troubleshoot. Agents at the contact center are very familiar with the quality of the client application i. e Interactive Work Space solution. Workforce Management scheduling is very effective. It easy to change agent skills and routing of calls to various CSR's based on the skill set. We have also integrated the payment platform with IWS to reduce the resolution time and resolving calls. the solution is quite expensive to deploy. The agent skilling section and the agent logins sections needs updating. the training is very expensive, and not easily available. The solution has been able to save time and money. We were able to get our ROI in the within the first 6 months, which is very good for business. the company has also been able to improve the time of resolution of issues encountered. "GMS best architected application since Genesys Statserver"
Genesys Engage application and products is very much like a swiss army knife - it can do just about anything you want it to when it comes of contact center solutions. GMS product in particular allows for practically any possible integration one can dream up of. applications and products update so quickly that documentation is often left behind so finding the right information to do some of the technical work can be frustrating at times. We were able to realize a more effective mean of interacting with our customer by offering an omnichannel customer experience through the use of Genesys eServices + GMS. "Mejorando la atención de los clientes y la vida del personal de ti"
"I like OMNI Channel platform that Genesys offers"
With the introduction of open source Composer, the application development has become tool agnostic. Also the power of conversation manager is helping us deliver context based routing and provide tailored experience to our customers. Overall i like Genesys suite of products specially the SIP which is center to all the products we use. Voicemail reporting is still not part of InfoMart. I mean i really like to see Feature Server capabilities fully integrated with Genesys solution specially Reporting. Also one of the pet peeves we have with WWE is that if the browser is minimized or behind the other application i am working on, i don't get notified or alerted of the incoming call (Given i am a manual answer agent). Its very stable and SIP server takes the center stage. This makes things lot more manageable. We are developing solutions to provide OMNI experience to the valued customer of our clients and partners. "Genesys PureEngage - Experience Certainty "
The Genesys PureEngage solution is used in the whole organization. All Agents and Supervisors manage the customer journey via Genesys Pure Engage. Genesys solution (Inbound, Outbound, eServices (Email and Chat)), Initially started with couple of LoB's and later other many other LoBs are shown interest and asked to on board on Genesys platform to get benefit from the features it provides. The business needs are addressed simply with help of this solution and really impressed. Call recording solution to be improved better as compared with NICE and Verint. User Interface: Genesys Administrator / GAX is not user-friendly for configuration. Real-Time and Historical Reporting can still be made more easy. Queue wait time and Abandon calls issues been addressed. Increased call completion rate in IVR with optimized Genesys IVR solution. "Genesys OmniChannel Experience is Service Made Easy"
Genesys's bread and butter is its strong routing and reporting capabilities of interactions. The ability to support and provide integration capabilities for just about anything a customer or developer dreams up. the documentation can use a lot of work. The openness and flexibility of the products is a mixed blessing as often times it's difficult to come up with 'best practice' from Genesys's perspective. It would help if Genesys can provide set 'recipe' solution for the products they sell. The Solution is essentially effective and can be considered as a reliable PABX. Agents at the call center are impressed with the UI for the client application. Customer resolution time is absolute when using the IWS Interactive Work Space. The Dashboard allows for different stakeholders in the company to have access to be able to live-monitor the contact centre. You are able to access the Monitoring tool remotely from any location. It really is difficult to attach a dislike to Genesys as it covers such a wide spectrum but i would say that the skill set tab on the Genesys administrator server could do with being streamlined. In addition there was a period when the statistics at the initial stages of integration where not updating although it would be good to confirm if this would be an issue with initial stages. Training is on the higher end on the price spectrum. The Online Training is not easily accessible and also equally pricey. The PABX solutions has been able to save time and money. Our company has been able to provide an ROI Return of Investment in the first 6 months after deployment. The software has been able to work effectively as a result this has given the company a substantial competitive edge over our other competitors. Routing - deliver the client interaction to the right attendant. Proactive - call to clients and transfer them to an intelligent IVR that can solve problems and offer new products. IVR - provides personalized experiences with our CRM integration. Genesys partner resources with low skills to support PureEngage Plataform. We always spend more time than necessary to apply new features. The licenses and support are expensive and increases year by year and if you need a high-quality support you'll need to pay more. If you are thinking to choose Genesys platform as your solution, you need to pay attention in costs and the quality of Genesys partner. The platform is very robust and reliable but it is expensive and there aren't enought qualify resources in their partners. Centralized management of contact center operations. Genesys PureEngage is being used by Contact Center to support our clients to get the best way to solve their problems or questions about our products. With Genesys, we improve the internal operations controls and reduce operational costs. "Genesys customer experience, contact center platform review"
Genesys is by far the most comprehensive "customer experience" solution being offered in the market place today. Avaya has fallen far behind from a R&D perspective and Cisco will never have a fully integrated solution. Genesys incorporates all of their solutions, features, and functionality into a single code source, IOS if you will, rather than develop patches and connectors. With such importance being placed on the business outcome visibility and influence, there is no other solution that I would bet my future on. Genesys has always been considered the best-of-the-best and therefore considered a bit more expensive. Also, mindshare can be an issue at times, there are many more Cisco resources available to help with design and implementation but that usually delivers "average" results. Genesys delivers very effective business intelligence which usually ends up impacting the business in relatively short order, average resources and expertise will not suffice in most circumstances. Find a very experienced Genesis professional services partner to act as a coach, consultant and integration expert. First and foremost, it provides direct access to real-time business intelligence. By having a complete 100% fully integrated platform, all aspects of customer, employee and partner omni-channel interactions are analyzed, cataloged, and optimized (in real time) forming a very intuitive "business intelligence library" that allows an immediate impact on business operations and outcomes. "Complete package for your Contact Centre needs"
Genesys PureEngage has the complete package for your Contact Centre needs. We don't have to deal with multiple vendors. We just go to them for our voice and eServices requirements. In my opinion, they are number 1 in the business. Their knowledge base and documentation are very good resource. Some areas of improvement are the integration points on the different modules. There are so many modules that it creates a high learning curve. Genesys professional services and 3rd party consultant cost is also high so we build skills internally. I highly recommend you have people with strong Genesys skills to increase success in using Genesys PureEngage. Although it may be costly, the Genesys University training is a good investment to build the Genesys skills internally. Customer likelihood to recommend increases because they were able to get to the right agent. Customer also likes the callback functionality. eServices such as chat and SMS made it easier for our customer to reach an agent as an alternative to voice. Therefore our inhouse technical team is very expert Genesys administration. I think we need training and sertifiated engineer. I think Genesys is very good dialer system and ACD system. Genesysis very usefull and client base system. You can make intergation very easy. We get dialer production in a day. "Delivering Pure CX to our customers"
With Genesys PureEngage you can deliver the proper interaction flavor to customers in terms of omnichannel conversations and ensuring that they benefit from handmade cookies of this highy scalable and highly flexible product. 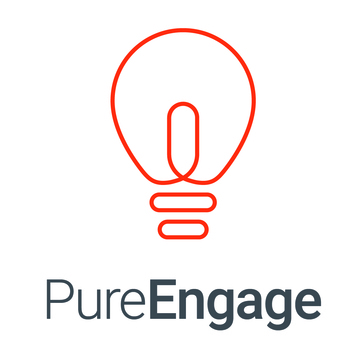 Any company that will need a great deal of integration and wants to provide superior CX - please have a look at Pure Engage. Bank retail customers support, corporate customers support,, lots of selfservice, customer communication from internet/mobile bank application , online meetings with advisors, telesales campaigns, social media oommunication. "Genesys can customize your contact centre to improve CX"
I have been using Genesys CIM platform since 2012. I think Genesys is one of the best contact centre infrastructure and supports almost all kind of communication types on digital channels for voice, web, social and mobile. Addition to channel engagements with out-of-box products, we have been able to use SDKs to customize integration by designing, developing and building inhouse products on top of Microsoft .NET Framework. The maintenance and troubleshooting requires too much effort so the design and implementation phase for a new environment need to be reviewed carefully. Genesys is configurable and flexible to support 3rd party products so it is easy to switch a part of your current infra and partialy move to Genesys. We have been using Genesys 8.1 platform for contact centre to create great applications for contact centre's team and customers. The integration we have done on digital channels improved our customer experience and we had amazing feedback for proactive customer engagement. The UC Connector(Smartlink) provide us ability to handle, monitor and track voice calls on Genesys, Siemens and Microsoft Lync. * Omnichannel Agent Desktop (Workspace Desktop) . As a planner, the best feature for me was Planning Layer. The option to create a forecast and build a full schedule based on a "what if", then customize that scenario to meet the best service level. All of this could be done so only the planning team could see it. Once reviewed and we wee help with the schedules, we could publish the whole thing or individual shifts/team to the "live environment". I didn't like the multitasking functionality when it come to partial skilled teams as I didn't feel it was easy understand and setup. Genesys would give us the FTE requirement for each given skill, but when trying to schedule against the requirement, I didn't feel that it utilized the staff skills sets efficiently meaning we were left doing manually adjustments to try improve service levels. In a single skilled or fully multi skilled environment it worked very well. Since moving away form Genesys I realized you miss the thing that you took for granted. One of the biggest is vacation management. Genesys has a fantastic vacation card customization section where you can define multiply scenarios to meet your business vacations calculation. (Part-time, Full-time, Accrued, Award).Also you could amend these with one off bonus holidays for incentives or bought or sold. Not having this feature in my current company causes a lot of additional work. Genesys PureEngage is used at our retention Contact Center. It has helped the agents to work omnichannel. We have also integrated Genesys PureEngage with our CRM as it provides webchat, IVR setup. This has improved agent KPIs and also full engagement of customers and resellers of our product in a tremendous fashion. It has been able to save time and money. Customer queries are answered speedily. ROI can be increased effectively.It accepts seamless unified & customized reporting.It works well with other features of the business, CRM and Genesys Interactive Workspace. "Easy and simple, you save a lot of time"
Genesys Engage products look like a Swiss Army Knife, you can do almost anything you want when it comes to contact center solutions. The GMS product in particular allows for virtually any possible integration one can think of. Solving and maintaining problems requires a lot of effort, so the design and implementation phase for a new environment must look at it. Customer inquiries are answered quickly. It accepts seamlessly unified and customized reports and works well with other company functions, Genesys Interactive Workspace and CRM. "Easy To Integrate - Genesys PureEngage"
Easy to use and integrate to our callcenter. Realtime reporting isn't efficient to use and hence it could be improved. Other than that license usage can't be seen. Like how many agents are utilized. IVR engaged and would be beneficial for us. Also Genesys routing is efficient. "Genesys is a real partner that focus on business and end customers CX"
Simply!, Genesys provides brilliant solutions plus business consultancy that print an exceptional customer experience and remarkable ROI. Genesys is talented in customer engagement across all channels, moreover Genesys is a guru in managing the customer journey in the back office with amazing proactive tactics. Many features with capability to integrate with many other solutions make it more challenging to have friendly unified user interface, yet Genesys recently provided a good one : ) , thanks. The best contact center omnichannel solution. We receive hug number of calls that lead to a queue especially in peak hours, and it is hard to manage or deliver service to the customer while he is on a queue. Genesys resolved the peak hour nightmare, normalized the flow of calls, delivered an exceptional customer experience while customer in queue. "Easy adaptation and great omni-channel capabilities"
2. Customize to suit our requirement. 5. The sales team did not push the entire product but understand and only recommend needed modules for our business. 1. The outbound dialer capability can be improve especially on campaign management. Technology centered around creating a customized customer experience. Not often do customers know exactly what they want, so based on different viewing habits and interactions, we're able to cater our content to their expectations. There's an over-reliance on legacy communication technologies (voice lines, emails, text messages). What about newer ways of communicating through app notifications, social media, IOT devices? Would be great to see how PureEngage can reach out to customers utilizing some of these newer technologies. Cover your bases (voice, email, social, text) and learn how to leverage the best of PureEngage's capabilities before strategizing for success. There's always room to grow, but make sure your fundamentals are covered. We're trying to cover our bases with customer engagement and PureEngage does that well. We'll see once disruptor technologies settle down how PureEngage can capture new audiences. Genesys, when implemented as intended, can touch every inch of your enterprise and streamline back-office and contact center activity in one solution. Like most large companies, Genesys is slow to update their user interfaces which can make working in them an acquired skill rather than an intuitive experience. Take advantage of Genesys consulting and be ready to let go of your legacy business processes if you truly want improvement. Currently we're looking to expand to many more customer channels and Genesys is making that easy as we already have voice-enabled agents in production today. Adding additional channels is as simple as installing the products and updating agent profiles. "Innovative and a true partner"
Project kickoff is next Monday, but so far I'm really impressed with the level of partnership, and understanding from our Genesys sales and PS teams (particularly Stephan Rinfret, Jason Parks, and Dhuval). They really understand who we are, what we are looking for, and how Genesys can help. You need to get stuff to the cloud faster! I'm tired of hearing "that's on prem but is on the roadmap"
All customer contact channels under one platform, consolidation of 3-4 different systems into one with data we can trust. "Genesys enables me to provide solutions." I love that the Genesys architecture is so flexible that it allows me to meet our business requirement needs effortlessly. With solid integration into our PBX, IVR, CRM and WFO solutions, I rest assured knowing that I can provide the necessary Key Value Pair attached data elements to intelligently route our callers and positively impact the Customer Experience. I cannot honestly think of anything that I dislike about this product. Sit down first and think of the pain points that you are encountering with your current ACD system. Consider the things would you like to do to enhance the Customer Experience and ask you current vendor to present how they would accomplish. Provide the same synopsis to Genesys and ask them how THEY would accomplish. Compare solutions and decide which is complete without exceptions and provides the capability to accommodate your future needs. With Genesys we are able to intelligently route the caller to the correct advocate and provide their CRM screen with enough information that allows them to effectively service our members. Genesys also enables us to rapidly respond to spikes in call volumes and efficiently introduce additional staff to handle calls. "Best real omnichannel contact centre paltform"
Genesys is a real omnichannel contact centre platform leveraging the advantages of having one system instead of different silos. The most obvious is a 360° omnichannel customer interaction history which make hotline amnesia a thing of the past. New products need very close attention and some time to get mature. Once it is set up it works, you sometimes have to try out different configurations to get the optimum, there are not that many recommendations. It is a big toollkit to fulfill almost every demand, but you need to have the right people on board to operate and develop it. After the first implementation and usage you will find a lot more opportunities for the system. Start thinking from the customer perspective and develop the system to that need, not the other way around. We are routing millions of contacts on various channels to thousands of agents in more tha 45 sites. It is very stable and reliable, good to scale and with the right people on board easy (thus it is very complex) to operate and develop. We are able to make a step by step evolution to the next level in customer service. "Its okay, but sometimes its very hard to find the correct documentation." The explanation of the products are correct for a default configuration. Sometimes you don't find what you want but with the assistance of a case you can reach the information you want. If i'm trying to find something specific the finder is not very helpful. I think will be more interesating if the finder being more specific and helpful. It's okay, i think it's better to think about moving to cloud. Some missconfiguration problems or default configs are detailed in the doc. New implementations can be done with the documentation, but for custom configurations is more difficult to do it through the documentation. "Great solution for telephony and email"
You can take control of all needs of telephony and email solutions. Also reporting solution is the most eficient, more than any other CTI solutions. Full optimization of agents and supervisors of contact centers. "Lots of functionality for way less than on-prem"
The flexibility and ability to add on additional features without much fuss. •	The solution is flexible and powerful enough to satisfy users. Such as, applying complex business rules for routing. •	IWS is customizable; each team (inbound, outbound, collection, etc.) uses a different version of IWS which is customized according to their needs. * Social engagement tool doesn't support all social media platforms like instagram, youtube, etc. * Sentimental analysis doesn't support the Turkish language. Improved AHT, reduced operational cost, increased agent utilization, reduced customer effort. "Flexible product that can fit into your organization"
Product portfolio delivers solutions for nearly every type of customer interaction in today's world. Compared to some other products (ie Avaya) the solution is much more transparant and gives the businessuser the benefit of using all of it's possibilities. Product robustnes and range of features. Aplication opennes and level of customization. OS patching process not well.supported by the vednor. Partners not delivering new deployments using more effort efficient rapid deployment tool. No autoupdate proces for patching of the components. GWE vs. GME feature overlap gaps and duplicities. Little demands on partner's education - "cheap" silver and gold partner. "Generic but sometimes hard to use"
I like the generic side of using PureEngage and we can do many things with the platform. However, we miss some functionalities that should be out of the box instead of doing many things by ourselves. "A great customer experience platform "
It is a very good customer experience platform with variety of options and cloud based and very flexible. It has good integration with the lync which I like most and also the very good up time and the virtual call and voice mail facilities are very good I loved it. This is the good software however the pricing is much higher so it can be better. And the call blocking features some times isn't working and the android app can be better with II. We are using this to get I touch with the client and customer using this tool it is very easy and the automated call response is very nice. The complete solution for your voice based communication. Thank you for taking time to review our platform and solutions. I am sorry to hear you had a bad experience with the Do Not Call lists and App. Would be happy to connect with you to discuss with you personally the issues you had and how to better service the solution. Please let me know the best email/phone to contact you. "Very good product, poor support." Reporting!. I think it's the best reporting in Contact Center. You can have all information and this is now for us very important. We had an ACD out of support, so we needed to change it. We have improved the times and we also have a lot of information that we did not have before. * We monitor all Genesys PureEngage reviews to prevent fraudulent reviews and keep review quality high. We do not post reviews by company employees or direct competitors. Validated reviews require the user to submit a screenshot of the product containing their user ID, in order to verify a user is an actual user of the product. Hi there! Are you looking to implement a solution like Genesys PureEngage?